Arbireo Capital AG has appointed Marcus Neumann as Managing Director of the newly founded Arbireo Retail Invest. The new subsidiary bundles the investment activities in the retail segment and is part of the reorganization of Arbireo Capital, which aims to strengthen the company’s market profile in the managed asset classes. As the branch manager in Hamburg, Neumann is mainly active in transaction and asset management, where additional staff is to be recruited. “Marcus Neumann, a proven expert with 22 years of experience in the retail real estate sector, will strengthen our team. His previous activities have given him a wealth of experience in the value creation opportunities offered by the entire retail property cycle – from project development to management to the investment process. He is familiar with the classic food market as well as larger retail agglomerations and commercial buildings. This diverse expertise will assist us in the ongoing expansion of our product range and the early development of management strategies for the acquisition of our retail properties. We are very much looking forward to this cooperation,” said Martin Leinemann, CEO of Arbireo Capital. Rüdiger von Stengel, founder, partner, and CFO of Art-Invest Real Estate, resigned from his position as Operational Managing Director at the end of last year. He has been an active partner since January 1, 2019. Since then, Ferdinand Spies, previously Managing Director and COO of Art-Invest Real Estate, has held the position of Managing Partner and, above all, the 39-year-old has also assumed operational responsibility for Controlling and Human Resources. Atrium European Real Estate has announced that it has appointed Anna Dafna as Deputy CEO, in addition to her position as CFO of its Polish business, Atrium Poland Real Estate Management. Dafna joined Atrium in 2009 and has been the Chief Financial Officer of Atrium Poland for the last four years. Prior to joining Atrium, she worked as a manager for KPMG in Israel, where she headed a unit specializing in support for Tel Aviv Stock Exchange listed companies, including those operating in the real estate sector. 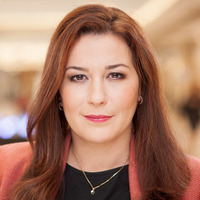 Following her promotion to Deputy CEO and CFO, Dafna will report directly to Liad Barzilai, CEO of Atrium Poland and the Atrium Group, and she will have responsibility for all aspects of the Group’s Polish business and its positioning in the market as the leading owner and operator of dominant, urban shopping centers that serve their local communities. 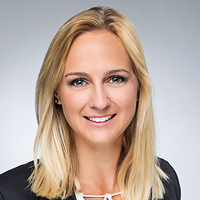 The Stuttgart branch of BNP Paribas Real Estate is further expanding its teams and has added Retail Advisory to its range of services: Natalija Brkic has been appointed Senior Consultant Retail Advisory and will develop the retail activities in the Stuttgart office, intensify business in the state capital of Baden-Württemberg, and unlock new potential in the greater Stuttgart area. 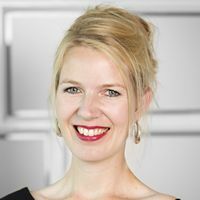 In addition, the 28-year-old will work closely with the teams from Frankfurt and Munich and further strengthen BNP Paribas Real Estate’s presence in southwestern Germany. Christian Bene, who has been appointed Senior Consultant Industrial Services, is also new to the team. The real estate specialist has been active in the residential and commercial real estate sector in Stuttgart and Baden-Württemberg for roughly 20 years. 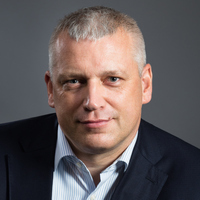 The Board of Directors of Citycon Oyj has appointed F. Scott Ball as Citycon’s new CEO. Ball – an American citizen – joined the company on November 15, 2018 and assumed full responsibility as CEO on January 1, 2019. With more than three decades of experience in the retail real estate business, Ball is a veteran in the shopping center industry and has held a range of leadership positions. Prior to joining Citycon, he was Founder and President of a private real estate investment and retail advisory firm. 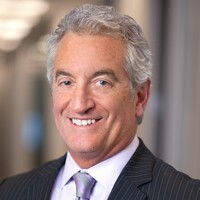 Previously, he served as President/COO at Starwood Retail Partners, prior to which he held several leadership positions at various companies, including Oxford Properties in Canada, The Mills Corporation in the U.S., and The Rouse Company in the U.S. He holds a bachelor’s degree in Business Administration from LaSalle University in Louisiana and is a long-time active member of the International Council of Shopping Centers (ICSC) and the Urban Land Institute (ULI). Ball will replace Citycon’s current CEO, Marcel Kokkeel, who has served in his position since 2011 and is stepping down by mutual agreement on January 1, 2019; he will stay on as an advisor to the company until May 1, 2019. Colliers International Group Inc. has announced the appointment of Olivier Gérard as CEO, France, effective November 5, 2018. Gilles Betthaeuser, the current CEO, will become Chairman and return to a more client-oriented role. Gérard brings over 30 years of leadership experience in French and international real estate and joins Colliers from CBRE, where he was Managing Director of Transaction Services in France. Prior to that, he was with Cushman & Wakefield, where he held the position of CEO for eight years and, before that, he spent six years at JLL leading Capital Markets in France. “Attracting a major talent like Olivier to Colliers to lead our business in France is a major coup for us and is an important step in continuing to recruit the best and the brightest in the sector. His excellent track record with local and international clients will be extremely valuable as we continue to strengthen and grow our business in France,” said Chris McLernon, Colliers’ CEO EMEA. 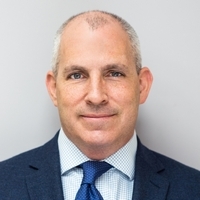 Grosvenor Group has announced the appointment of Robert Davis as its new Group Finance Director, effective June 1, 2019. He will succeed Nick Scarles, who, earlier this year, was announced as the new CFO of the Grosvenor Estate. Currently the CFO of Grosvenor Europe, Davis joined the company in 2006 as the Finance Director for Grosvenor Fund Management and as one of its board members, becoming its CFO in 2011. 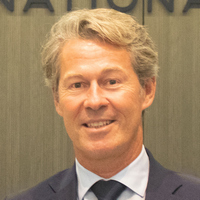 He later played a key role in transitioning the business’ activities to create Grosvenor Europe, which, over the past two years, has made a number of direct investments and grown a portfolio that focuses largely on retail and residential properties in Madrid, Liverpool, Paris, and Stockholm. Previously, Davis worked at General Motors, where he fulfilled a number of roles within the finance function, including the role of Chief Operating Officer, European Operations for GMAC Commercial Finance Plc. In the role of Group Finance Director, he will be responsible for Grosvenor’s finance function, including the efficient allocation of capital, coordination of finance activities of each Operating Company, risk, reporting, and internal control. Additionally, he will maintain oversight and responsibility for Treasury, Corporate Finance, Tax, Corporate Reporting, Health & Safety, Digital & IT, and the Group-wide aspects of Legal. 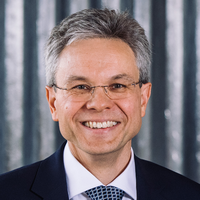 Volker Heinke was appointed to the Supervisory Board of GRR AG Holding on November 15, 2018 and was elected as the new Chairman of the Supervisory Board. He succeeds Anton Wiegers, who, like previous members Richard von Knop, Managing Director of ProCon GmbH, and Boris Jordan, Commercial Director and Authorized Signatory of the sontowski & partner group, was re-elected to the Supervisory Board, which now comprises four members. 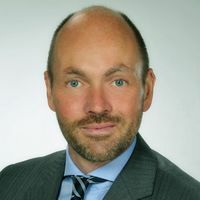 Heinke, 49, has been the Chief Financial Officer of Provinzial Rheinland since October 2015, where he is responsible for Asset Management, Real Estate, Investments, Taxes, and Accounting. 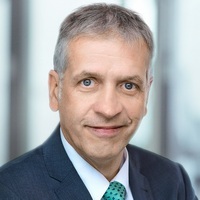 Prior to that, he was the Chief Financial Officer at LVM-Versicherungen in Münster, and before that, he was a member of the Management Board of Kirchliche Versorgungskassen, headquartered in Dortmund. The business administration graduate began his professional career as the Head of Department at Provinzial NordWest Holding AG. Klépierre has announced the appointment of Nathalie Garnier as Chief Legal Officer. She began this position on December 17, 2018. Garnier reports to the Klépierre Executive Board and is a member of the Group Management Team. 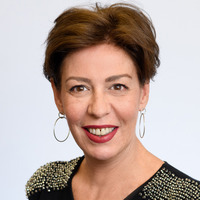 She started her career in 1989 as a lawyer within the Jones Day law firm and was then appointed General Counsel of Simon Ivanhoe Europe in 1999, where she was in charge of governance, compliance, and legal management in support of the corporate, M&A, real estate, and financing activities. In 2019, Garnier became a partner in the De Gaulle Fleurance & Associés law firm, based in Paris, in order to develop its real estate practice. “I am pleased to welcome Nathalie, whose in-depth knowledge of the shopping center industry and international experience will be invaluable assets in the pursuit of our development strategy,” stated Klépierre Executive Board Chairman Jean-Marc Jestin. Change of leadership at Outlet Center Wadgassen: On October 1, 2018, Andreas Chandoni took over as Center Manager. The 44-year-old succeeds Nico Loreth, who had held the position since March 2013. Chandoni, who was born in Saarbrücken, has extensive experience as a project developer and expansion manager. For five years, he managed various strategically important areas of responsibility at Ratisbona Holding GmbH & Co. KG in Regensburg, which is one of the leading and most successful companies in Germany in the field of retail real estate. There, the business economist was solely responsible for the Rhineland-Palatinate, Saarland, and Hesse regions. 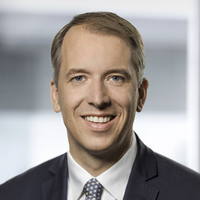 Prior to his time at Ratisbona, the Saarlander spent five years at the REWE Group as an expansion manager in real estate management, a position he also held for six years with Plus Warenhandelsgesellschaft mbH after nine months in sales with the same company. Tomáš Laštovka has become the new Chief Executive Officer of Penta Real Estate Group. In his new position, he will be responsible for all business activities within the Group in Slovakia, the Czech Republic, and Poland; he will simultaneously be responsible for any possible expansion into new markets. “In the real estate sector, Penta is well-known for its strict emphasis on the quality of its projects. Moreover, its employees are not only true professionals, but they also have a clear vision of the company’s development in terms of innovation, human resources, and project management. Therefore, I could not turn down this offer,” said Laštovka. He has already held several managerial positions in the real estate development sector. He was the Executive Director of the PPF Real Estate division from 2009 to 2018, responsible for all of the Group’s real estate development projects in the Russian Federation. He studied Construction Economics and Management at Czech Technical University in Prague and completed his MPhil degree at the University of Cambridge. 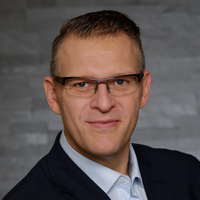 Prelios Immobilien Management has gained Nils Peters as the new head of its Commercial Property Management division. The company plans to generate further growth in commercial property management in order to meet the increasing demand from investors and owners. Peters previously worked at companies including HGHI Immobilienverwaltung, BNP Paribas, and DTZ. Redevco has appointed Marrit Laning and Thierry Cahierre as Fund Directors for its investment management business. Assets managed by Redevco on behalf of third-party investors jumped to 37% of the total portfolio of €7.4 billion, or nearly €2.7 billion, compared to nothing five years ago. Parallel to the growth in third-party assets, the company’s portfolio has continuously outperformed the underlying European retail real estate market by 200 basis points per year on average over this period, with a mean annual total investment return of 9.0% unleveraged. 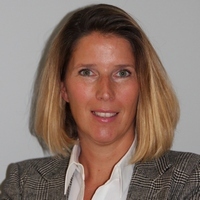 Cornelia Graeber has joined the Frankfurt-based Silverton Group as a Senior Asset Manager. Qualified as a Real Estate Economist (IRE|BS), the 45-year-old manager supports the 7-strong asset management team. She is responsible for the management of part of a portfolio of commercial properties with value-add character. Applying her expertise, she is also tasked with advising Silverton on business development and the acquisition of new projects. Graeber reports to Thorsten Leischke, Head of Real Estate Asset Management. 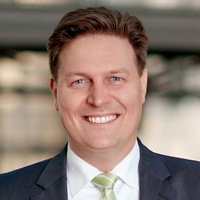 Prior to joining Silverton, Graeber worked as an asset manager at Credit Suisse Asset Management Immobilien Kapitalanlagegesellschaft mbH in Frankfurt for more than 13 years. She specialized in retail and logistics properties in Germany and Poland. Westcore Europe has acquired a new senior team member, Ian Morgan, who will serve as the firm’s Head of Transactions. Morgan brings decades of experience managing real estate transactions, joint venture partnerships, due diligence, and financial analysis for some of the world’s top REITs and private equity firms. Based in the company’s London office, he will assist in acquiring properties that will generate attractive returns and deliver positive experiences for the communities in which they are located. Prior to joining Westcore Europe, he ran his own London-based advisory business, where he focused on acquisitions for real estate equity funds and family offices. He has also served as the head of real estate for numerous real estate investment companies, private equity firms, and the third largest bank in Scandinavia. Morgan earned his Bachelor of Arts in Political Science from Carleton College as well as a dual MBA/MA degree from The Wharton School at the University of Pennsylvania.